Engagement sessions..? What are they? Do I need one, you're probably thinking, right? Am I right? Well let's chat about them! A pre-wedding shoot, or an engagement session, as you may more commonly have heard them referred to, are photo sessions based on location (or we can do some cosy in-home ones if you fancy), around three to six months before your big day. Although not a necessity they are a wonderful opportunity and something that so far, my couples have enjoyed and gone on to find fabulous usages for the photos for! 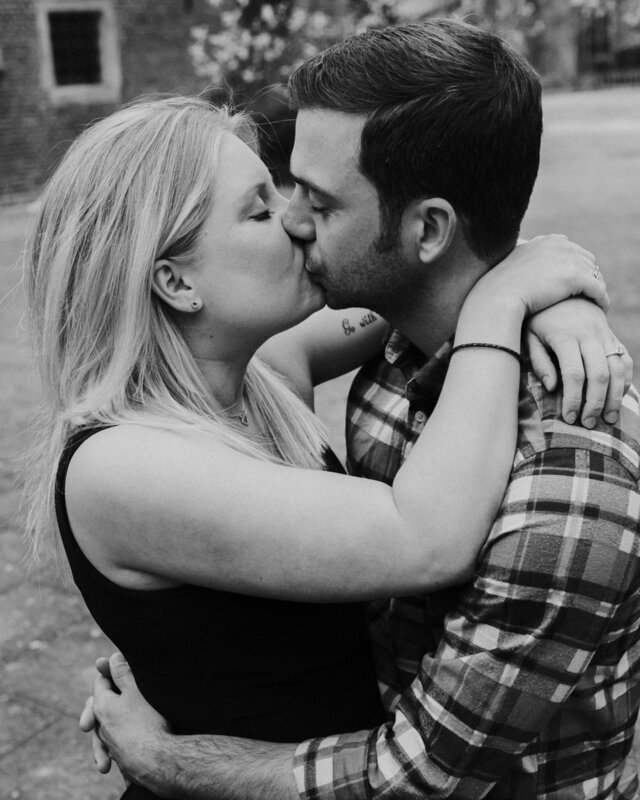 At the moment, in the name of love, throughout February I am offering a FREE engagement session with ALL bookings! Eek! Engagement sessions bring upon sometimes negative connotations of being 'fluffy' and 'showy' and you might not be that kind of couple at all (I know I am in one of those relationships myself, as more often than not I have to beg my other half for a photo!) ...but they're actually super lovely and super good fun! 1. They give you a chance to get to know me! Currently, engagement sessions with me are currently only included in my top wedding package, but I've done a few engagement and couple sessions just for fun, sans even mentioning the big W word (clue, the word is 'wedding' - shh!) Maybe you don't know when you're getting married or maybe you want to test the water with a possible photographer. Maybe you're dead set on having me as your photographer, but you're a little awkward and camera shy, so despite the coffee date we had when you booked, it still left you with a few nerves about the concept of being photographed on the day itself. I'll be the first to put my hand up and say I don't like to be photographed, but I am told I photograph well (whatever that means?!) The same goes for you guys. You don't have to be models, with a best side, and outfits picked out. The truth is, these sessions are about getting to know each other, whilst you celebrate your togetherness, and actually, I am super tiny and unobtrusive, so you won't even realise I am there! My boyfriend and I have been together six years in March, and how often do you think we have dressed up and got our photos taken (despite me being a photographer)?! Answer? ONCE. (You can see those photos here!) But you know, the idea of dressing up, picking out clothes, locations, and getting all excited for a shoot is the best! I can also direct you with the best locations and outfits, in fact I have an entire pinterest dedicated just to outfits! As I said above, I've had my portraits taken only once in the six years Jack and I have been together, and they were shot by the very talented Doris Heinrich, but I absolutely cherish them. Honestly, the idea of having portraits taken with him was absolutely terrifying. Jack and I have a foot of height difference between us (how would that work for photos?!). We shot them in the middle of London (where people would be looking - eek!) and I am NOT a model, capiche?! Luckily, Doris was amazing and absolutely settled our nerves, and it was so worthwhile. I didn't even notice she was there. For that reason, I absolutely UNDERSTAND how it feels to be on the other side, trust me! Confidence is key in this world (as is faking it! ), so what better way to make you feel confident than beautiful photos in a beautiful location with the one you love? I guarantee you you won't even know I am there, and you'll end up with a gallery of as many beautiful photos from your session as I can muster. Still not convinced? For a limited time, until the end of February, they are free with all wedding bookings. So come on, let's catch up for coffee, and head out to shoot. I promise you'll love them! If you are interested, get in contact, and let's get planning!